The day the Art Fund App was released, I happily and excitedly downloaded it. 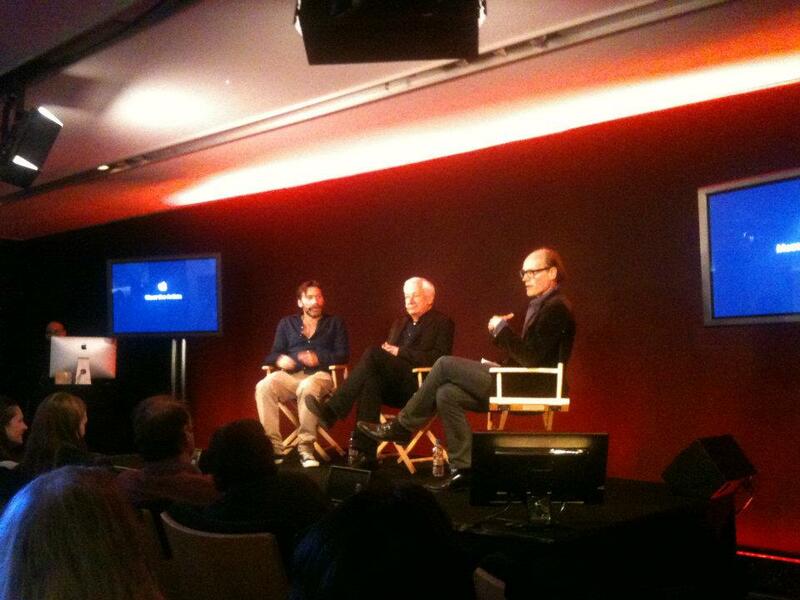 I happened to be in London that day so I went to the launch at Regent Street Apple Store where Will Gompertiz, BBC Arts Editor talked to contemporary artists Michael Craig-Martin and Mat Collishaw about technology in art (as related to the app). 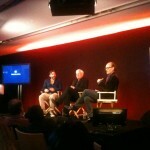 They also talked about Damien Hirst as both work with Damien. A bar across the top allows us to choose ‘Must See’: This screen is broken into subsections of Recommended, Last chance, Opening Soon. 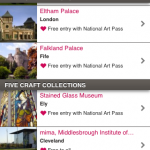 ‘Popular’: Top Current Exhibitions, Top Ten Castles, Five Royal Palaces, Five Craft Collections. ‘A-Z’ of all ArtFund venues. When Location Settings are activated, a Google-style map will indicate nearby Art Fund supported events with a familiar pink and white heart. You can also modify this screen from map to list version, which I personally preferred. When you’re in list window, the choices are broken down into ‘Within 10 miles’, ‘Within 20, miles’ and so on until 40 miles. 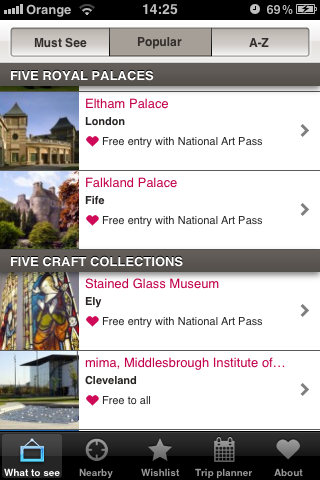 It also displays a little picture of the venue with access information, eg ‘Free entry with National Art Pass’. When you click on a venue, you gain access to a short bio of the venue including opening details and pricing (for non-Art Fund members). There is also an option to gain directions using Google maps. You can share this information on social media or email and/or add the venue to your personalised Wishlist. Once you added items to the Wishlist, they will be displayed on this window for easy access. This is a fabulous little feature which allows you to search events and venues that might not have been advertised yet. For example, a search on London (+10 miles radius), for mid-July showed British Museum having two exhibitions: Shakespeare: Staging the World opening in mid July and also ‘The Horse: From Arabia to Royal Ascot’ opening mid May. I tested this feature with different areas including Shropshire, Newcastle and Glasgow, each showing that arts and culture is alive and well in the UK. This is more about Art Fund then the app. Have you purchased the National Art Pass yet? Overall, the app is a 5 out 5. It’s very easy to use and intuitive to location. While the Nearby option doesn’t work without location on, Trip Planning and Wishlist did still work. I really liked the app. Yes it was promoting only Art Fund venues, however, is that such a bad thing? I would have also liked to have seen more emphasis on which venues were Family Friendly as that is something many visitors need to know prior to planning. With all the tourist soon to be converging into the UK for the Olympics and other events, this free app is something I’ll be recommending.